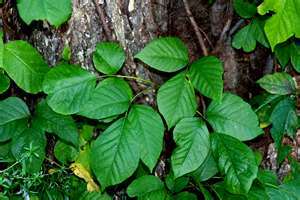 I Have A Surprise For You - Part 2 of "It's Poison Ivy!" After I had laughed aloud at Dr. Robinson's last statement. He then said, "You know I saw you trying to memorize the eye chart on the wall. So, I have a surprise for you." "What do you mean?" I asked, very innocently. Dr. Robinson replied, "After I had finished with my last patient, I walked past this room and saw you memorizing the chart on the wall." "So, your surprise is...I'm going to make you read the chart that I use for my 2 year old patients that can't read, yet," he said. The doctor took a seat on a stool with wheels next to me. With a mild state of panic in my voice, I asked, "What?" "You heard me. 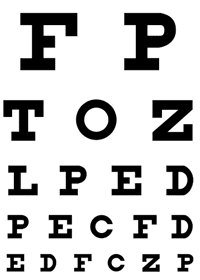 I'm going to use the chart with the birthday cake and candles," said Dr. Robinson as he moved the huge, black eye exam apparatus in front of my face. He continued, "Now, you should see several birthday cakes with candles on top of them. Look at the first cake. How many candles do you see?" Trying not to laugh, I asked, "How many candles do you see?" "Charles," the eye doctor replied. "Okay. I see some candles," I said. "They're blurry, though," I mumbled. "Let's look at the next cake. How many candles do you see?" asked Dr. Robinson. "Now, let's look at the next one. How many?" "Hell, I dunno," I mumbled. I then said aloud, "Three." The doctor pushed the apparatus to the side and said, "Charles, you are as blind as a bat. But, you have a healthy pair of eyes." Dr. Robinson slid three feet on his stool toward his work station and scribbled some information on my chart. I then had a question. "May I have a prescription for eyeglasses, please?" "Why do you need eyeglasses? You wear contact lenses all of the time." "Well, I like to wear eyeglasses at night when I go to bed," I replied. With a puzzled look on his boyish face, Dr. Robinson repeated, "At night when you go to bed?" "Well, you don't need your eyeglasses on when you are asleep, Charles," the eye doctor offered. "Yes, I do. I like to see what I'm dreaming at night. I don't like for my dreams to be blurry," I replied. Burying his head in my chart and trying to contain his laughter, Dr. Robinson wrote me a prescription for contact lenses AND eyeglasses, and then we said our goodbyes until next year. He then shuffled out of the exam room hoping that the poison ivy would quickly heal - "down there." Until next week....keep praising HIS name! Beat well then fold in stiff egg whites. Pour into a cake pan and bake at 325 degrees until done. Last March, I drove to Starbucks for my usual order of a venti iced coffee - six pump caramel. Driving into entrance of the shopping center, I found three young girls holding signs that read, "Girl Scout Cookies for Sale!" They shouted at all of the passing vehicles to purchase some cookies on the busy four lane road. I turned into the tiny parking area and found a "sea of green" in a tiny lot next to the parking spaces. I sat in my truck for a few moments as my heart increased its rhythm. Beads of sweat formed on my smooth head and knots developed in my stomach. The green berets, as I call them, had set up several tables and loaded each with mile high boxes girl scout cookies. As customers entered and exited the coffee shop, the scouts shouted, "Hey! Wanna buy some cookies?!" at the top of their lungs. Now, I had already purchased a couple of boxes from the scouts at church and bought and donated a few boxes from my co-workers. So, I thought that I had made my contribution for the year. However, I still sat in my truck somewhat terrified of the green berets; yet, impressed by their strong sense of entrepreneurship. "They may grow up to be CEO's of Fortune 500 companies, chief fundraisers for non-profit organizations, corporate executives or even college presidents," I thought aloud. Realizing that I could not sit in my truck all day and in desperate need of caffeine (because my head was aching from caffeine withdrawl); I held my breath and made a mad dash to the front door. En route, I was constantly pelted with, "Hey! Hey! Mister! Wanna buy some cookies?!" from across the lot. They made it seem like I was committing some sort of high crime and misdemeanor for not purchasing another box of girl scout cookies. The guilt was almost overwhelming. Well, not really. The trip from my truck to the inside of Starbucks seemed like an eternity. After I had placed my order with the barista, I decided to stay inside and drink my coffee and read the newspaper for a while. I had figured that once I was done, the lovely young ladies would have packed up and vacated the shopping center for the day. No such luck. By this time, the green berets had the building surrounded - wearing dark sunglasses, berets and armed with boxes of cookies like they were holding machine guns. "Dear Jesus, please get me to my truck safely. Amen," I had prayed. Taking a deep breath and not wanting to be noticed by the scouts, I opened the glass door and did four quick cartwheels and two back flips with lightning speed - just like the ninja warriors in the movies. Okay, that was a bit of a stretch. Actually, I sprinted to the truck, hopped in, and flew out of the tiny parking lot. So, during the next two weekends, I found myself sneaking around and dodging the green berets at Starbucks and Target like a stealth cat. I could not wait for the month of March to be over. Fast forward to this March, it was my turn to read the Sunday announcements at church. When I had arrived at my place of worship, dressed in my best suit and tie, I picked up a bulletin and realized that another name was listed next to the church announcements. The front of the bulletin read, "Girl Scouts Sunday." I marched toward the pastor's study, called his name from the corridor (as I normally do) and tapped on his door. "Come in," the pastor requested. Entering his study, I asked, "So, I don't have to read the church announcements, today?" "That's correct. It's "Girl Scouts Sunday", and they will be taking care of the church announcements," the pastor replied. "Well, I wish I had known it was Girl Scouts Sunday; because, I would've worshipped at Bedside Baptist with the Reverend Samson Knight (like Samsonite - the mattress)." The pastor replied, "See, that's why I didn't tell you. The girl scouts gave you a Sunday off from reading the announcements." I thought, "Yes, indeed. They are some wonderful young ladies. I guess they are making up for harassing me in the Starbucks parking lot, last year." P.S. 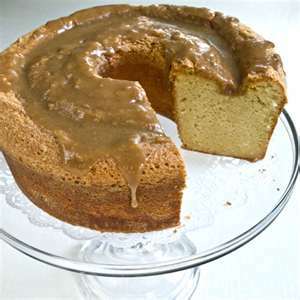 Since I have received about four comments from my last post ( I was hoping for way more), "We All Have To Suffer," Mother Gertrude's pound cake recipe has been posted and published under, "Mother Gertrude's Pound Cake Recipe." It's really is very good. Of course, I couldn't find her recipe for Lemon Supreme Cake. Mother Gertrude always stored her homemade cakes and pies in an old fashioned cake tin on top of the refrigerator or "ice-box" as she called it. In my opinion, she was a world class baker. My favorite desserts were her chocolate or lemon supreme cakes. They both were moist and delicious. Boxes of cookies and crackers for her and Papa's late night snack sat close by the cake tin. And there was always a box of dog biscuits for Zsa Zsa - their French poodle. Mother Gertrude also enjoyed baking fruitcakes doused with liquor during the Christmas holidays for all of her dear friends. She used to make my cousin, Tommy, go to the bootleg joint to "pick-up" her necessary ingredient. I think Tommy was her willing partner in crime - sort of speak. Often, when I visited Mother Gertrude and Papa, my second order of business, after informing them of my hectic day in kindergarten, was to ease into the kitchen. I pulled a chair close to the ice-box and climbed on top of it until I could peek inside the cake tin. I had prayed that I would find a lemon supreme cake. 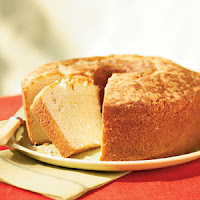 Instead, I found a regular ol' pound cake. I released a loud noise. Walking into the kitchen, Mother Gertrude asked, "What's wrong?" "You don't have any lemon supreme cake?" I asked, still standing on the chair. "No. I have sugar (diabetes), now. So, I'm not going to eat lemon supreme or chocolate cakes anymore," she replied. "So, we all have to suffer because you have sugar?" I asked. "Oh, hell no!" I thought. After a moment, I replied, "No, thank you. I don't need all of that cake anyway," as she helped me from the chair. Days later while spending the night with Mother Gertrude, Papa and my cousins and aunt, Mother Gertrude walked into the somewhat dark kitchen, reached for a napkin on the table and placed her hand inside of a box on top of the refrigerator. She pulled out several crackers, placed them in her napkin and returned to the bedroom. Now, watching one of her favorite television programs, The Lawrence Welk Show, with Papa and enjoying the crackers; her teenage granddaughter, Tee Tee, entered the bedroom to talk for a few minutes. Suddenly, Tee Tee gave her a strange look. "What's wrong with you?" Mother Gertrude asked as she bit into her fourth cracker. "What are you eating?" asked Tee Tee. "Those are not crackers. Didn't you noticed that they are shaped like a postman and a milkman and a fire hydrant?" Tee Tee asked. "You are eating Zsa Zsa's dog biscuits that's on top of the refrigerator." Upon hearing this bit of information from my cousin, Mother Gertrude released a scream that could have awaken the dead. Papa laughed hysterically along with Tommy, Tee Tee, Aunt Ellen and me. Needless to say, the box of dog biscuits were moved to another kitchen location. And even though Mother Gertrude has gone to her eternal reward (no, the dog biscuits didn't kill her), this story still brings back funny family memories. 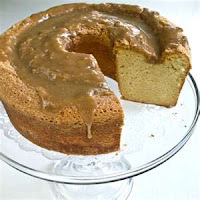 Now, if I get at least two page views and comments on this blog post, I may publish Mother Gertrude's lemon supreme or pound cake recipe (if I can find it) on next week.